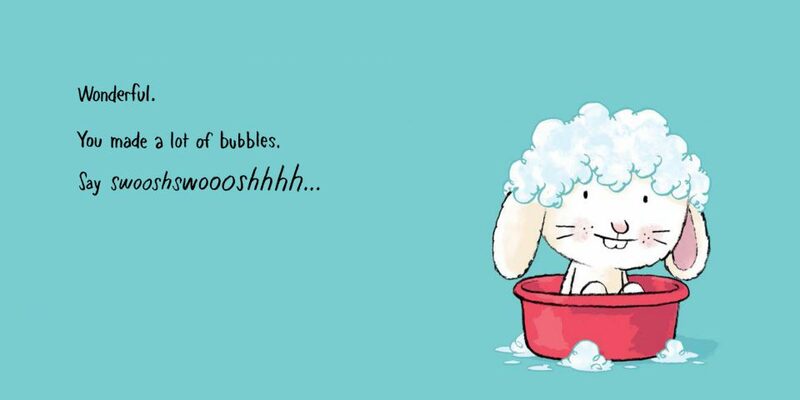 This funny, sweet, reassuring and empowering little board book about bathtime is perfection. A perfectly simple interactive board book for babies that lets the child take charge of bathtime. 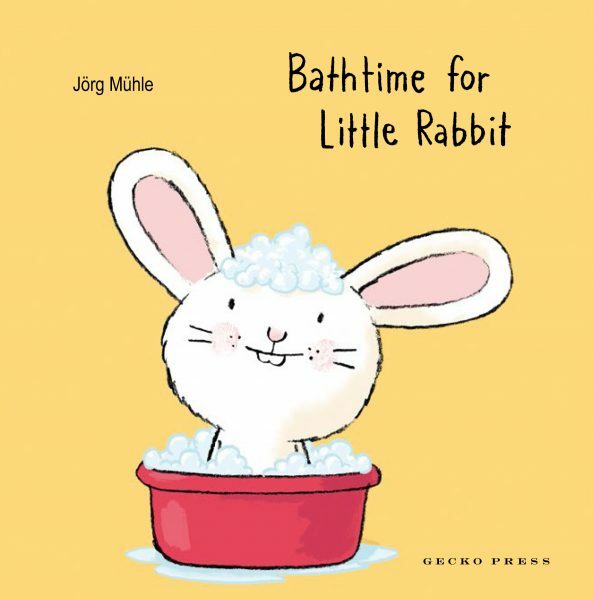 You simply will not be able to resist giving this adorably toothy rabbit a bath, even if he isn’t too keen on the idea at first. 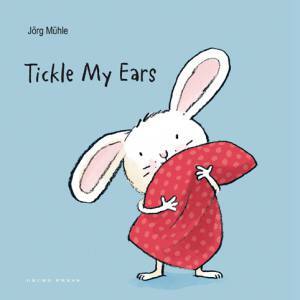 The illustrations are soft and the text sparse making this the perfect read for newborns right through to preschoolers. The illustrations are simple, expressive and humorous. 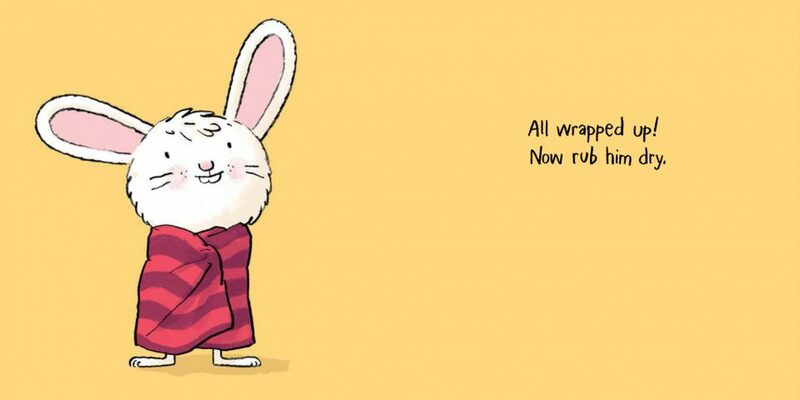 The vibrant colour pallet sports primary colours which draws the reader in and encourages him/her to participate Little Rabbit’s bathtime ritual. Young ones see just how easy and safe it is to have a bath and have heaps of fun too. 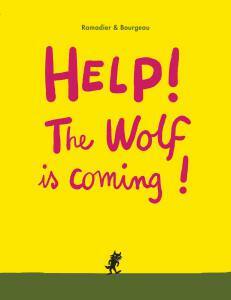 A lovely, warm and reassuring book to share and enjoy. 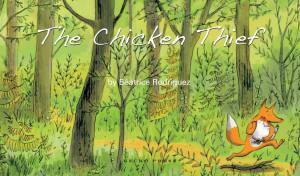 There’s something so appealing about the simplicity of this book; the illustrations are adorable, with clean lines and simple concepts that are beautiful and endearing. 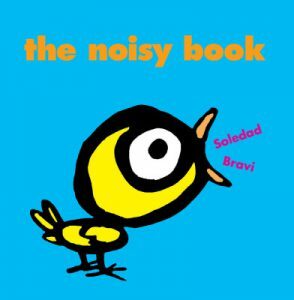 The simple language and pictures are perfect for reading aloud to little ones, and it would be a lovely book to share at bedtime. Muhle has done a great job of taking a simple concept and not overcomplicating matters. By doing so he has created a series of books that can be translated into a multitude of languages and still work as the book speaks perfect baby. With all the different fun actions to partake in as you go through the book, this is one story that both adults and children will enjoy with the added benefit of improving bathtime for all. Gives toddlers a sense of power and control over their lives they perhaps don’t often experience at that age. This funny, sweet, reassuring and empowering little board book about bathtime is perfection. 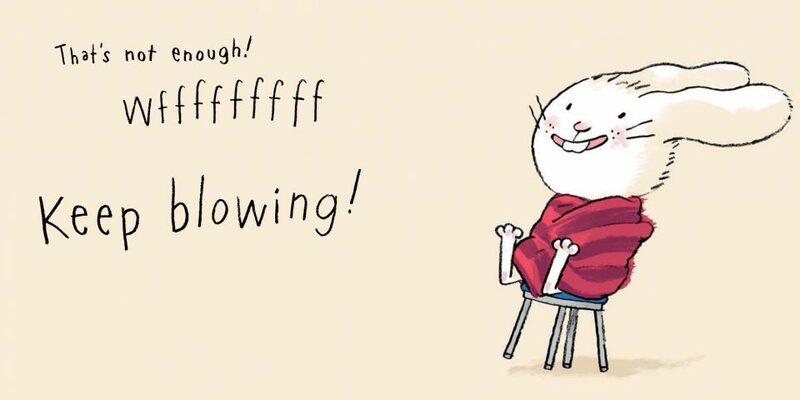 This charming picture book is written to be read aloud… interactive fun for young readers, surprisingly involving and amusing.